Aceto Balsamico is one of the finest seasonings out there. Traditionally, the best in the world is produced just a few miles from Bologna, in Modena and Reggio Emilia. Aceto Balsamico, or balsamic vinegar as you might know it, is one of the finest seasoning out there. Traditionally, the best in the world is produced just a few miles from Bologna, in Modena and Reggio Emilia. It’s not your average run off the mill condiment, so you might want to consider keeping it for important occasions or, even better now that it’s Christmas, get it as a gift for someone you know. If you are planning on buying some, you should know a thing or two about the different certifications it usually comes with I.G.P. and D.O.P. I.G.P. and D.O.P. are certifications given to food and drinks by the European Union to ensure excellence and guarantee the origins and authenticity of certain products. These are complicated subjects and I’d be lying if I told you I could tell you all about them in a few lines: we do invite you to look them up online for further information. Meanwhile, generally speaking, you should at least know that I.G.P. and D.O.P. respectively mean Protected Geographical Indication and Protected Designation of Origin, meaning the quality and authenticity of the product strongly depends on the location the food or drink was produced, also certifying that it has indeed been produced in such a location. They are different certifications, though they both guarantee excellent quality and authentic origins. 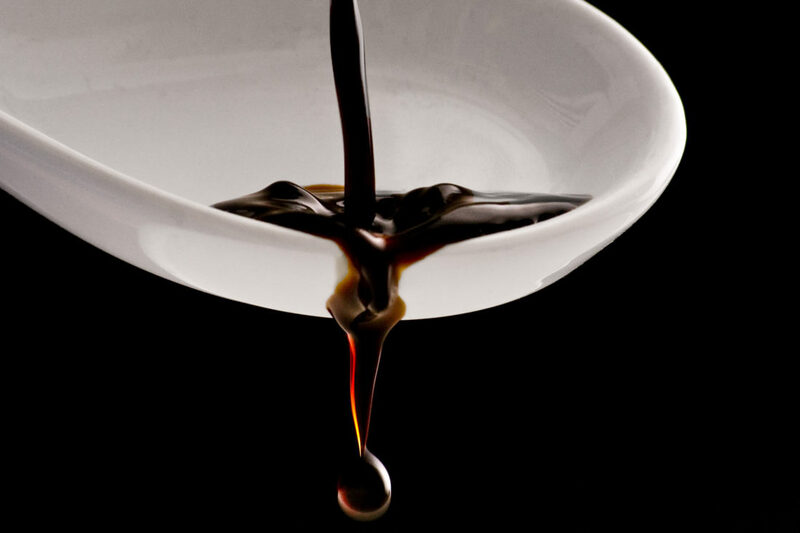 When it comes to Aceto Balsamico, specifically, what are the differences between D.O.P. and I.G.P. balsamic vinegar? The D.O.P. ones are produced using cooked grape-must, strictly from the Modena or Reggio Emilia provinces, which have been fermented, acetificated and aged for at least twelve years. The result is a very dark and dense product, with a very strong smell and complex flavour. The I.G.Ps, on the other hand, undergo a faster process that mixes cooked grape-must, concentrated must and wine vinegar. The blend is then aged for at least two months, resulting in a more acidic and stingy product.